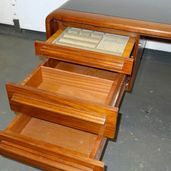 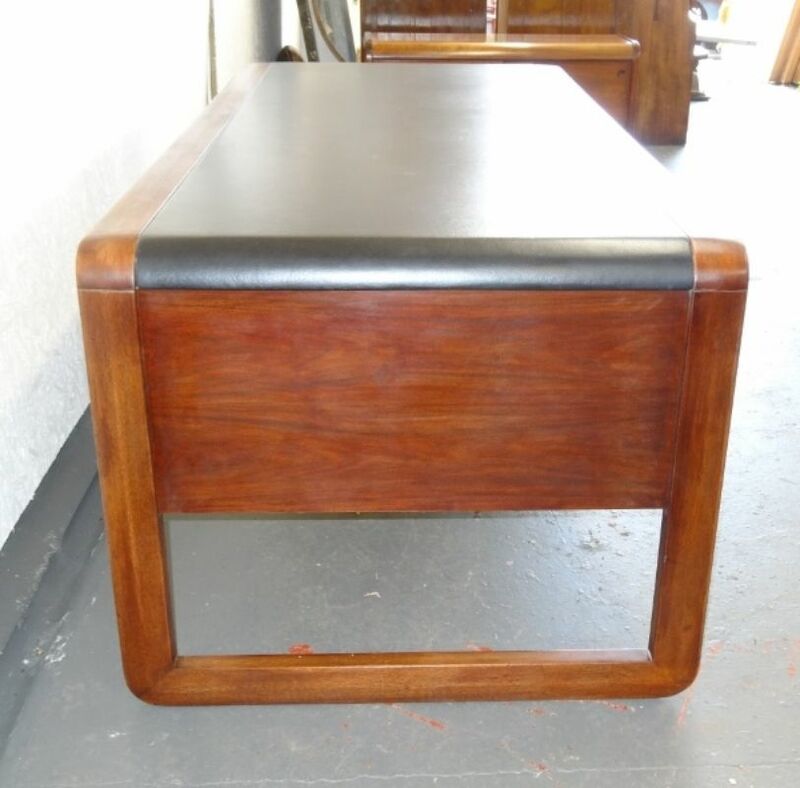 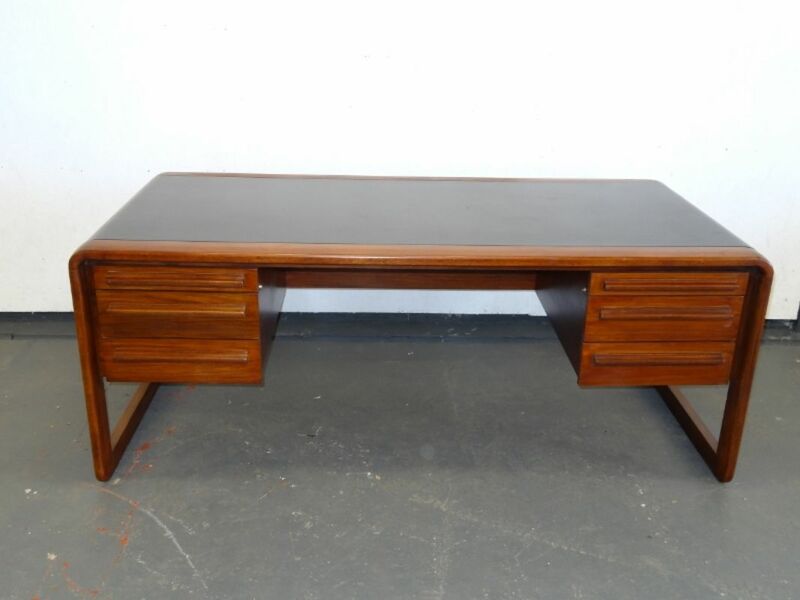 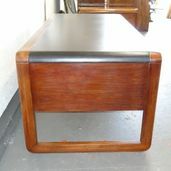 1970’s Rosewood Office Desk from the director’s office at Champion Spark Plugs near Liverpool. 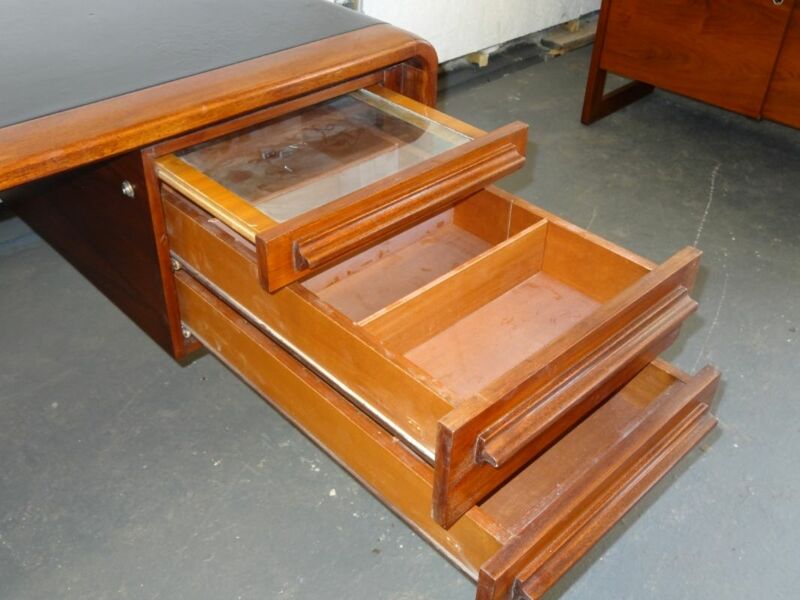 35 ½” deep (90cm), 75” wide (190cm), 29 1/2” high (75 cm). 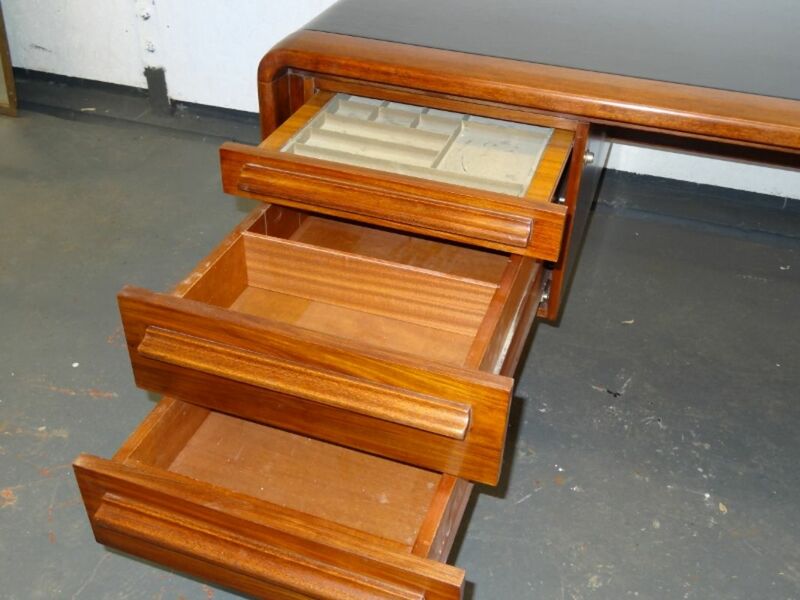 2 sectioned drawers to the right hand side with a glass cocaine shelf at the top. 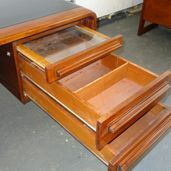 2 sectional drawers to the left with pen tray at the top.